Kennedy Kemei won his first start in the Tallahassee Marathon, finishing in a time of 2 hours, 31 minutes and 31.9 seconds. Veteran out-of-town runners dominated the three top spots in the Tallahassee Marathon, but locals owned the half marathon in the first running of the race in down town in several years. Kenyan Kennedy Kemei took 2 hours, 31 minutes and 31.9 seconds to win in his first start in the marathon. 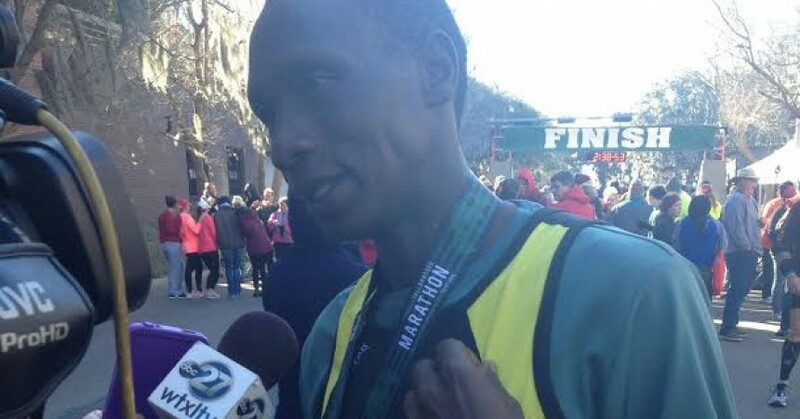 He finished ahead of New York’s Diego Vanegas (2:40:18.18) and Peter Kemboi, who ran 2:42:44. Kemei, 37, was training in Kentucky when he decided to enter the Tallahassee race. The windy, mid-30s temperature at the start was a little bit more than he expected. Kemei and Kemboi, who also trains in Kentucky, were barely separated for the first few miles. They ran stride for stride through Myers Park stretch of the 26.2-mile race. The course also took the field through portions of downtown and along FSU’s campus. By the time they’d covered 24 miles, Vanegas was on the heels of Kemboi. He got some separation over the last mile to score his best finish in three tries in Tallahassee. 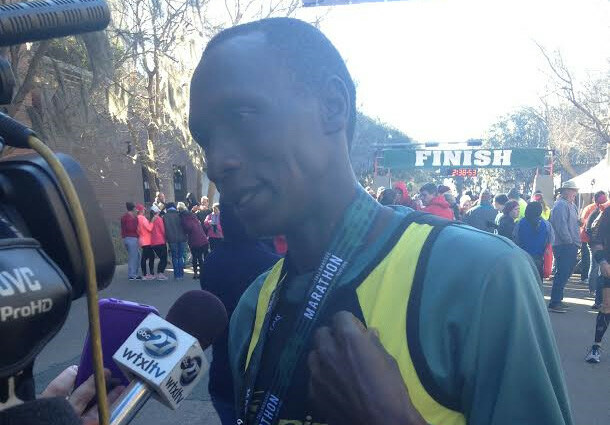 Charlie Johnson was the first Tallahassee finisher in the marathon, taking fourth place in the time of 2:43:41.50. The half marathon was all Tallahassee, with Matt Mizereck winning in a time of 1:17:58.53. He was followed by Zach Deveau (1:18:38.13) and Bryan Koon (1:19:37.12) to round out the top three.